You can’t jump or fly – that’s the puzzle. 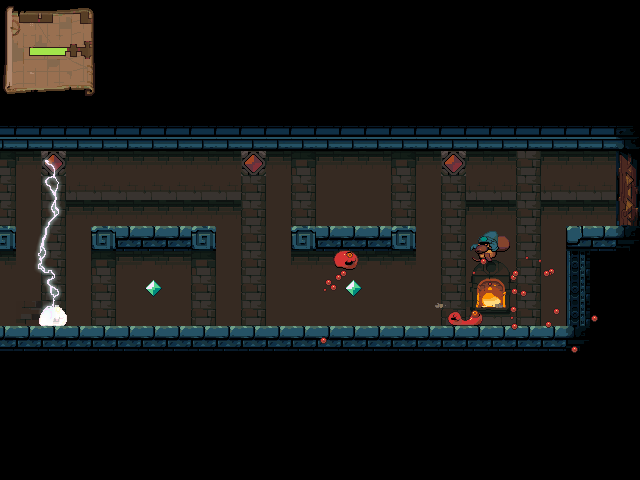 But your magic ladder can smash enemies, activate switches, bend round corners, go through teleporters and most importantly, collect gems for you. 2-player-mode can be activated or deactivated at any time without interrupting the game. 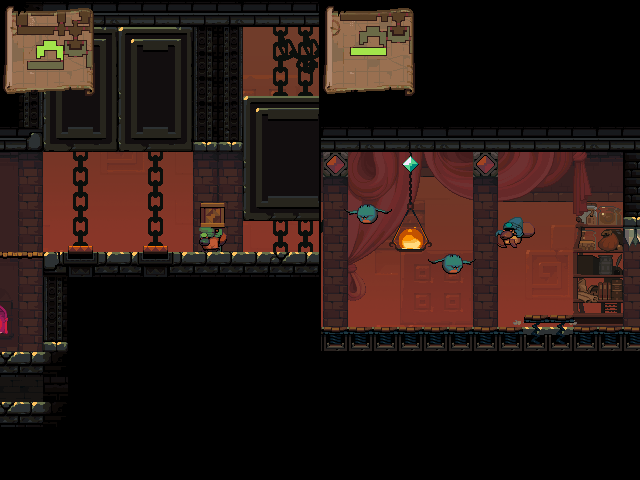 You can split up and explore separately or work together to solve puzzles. 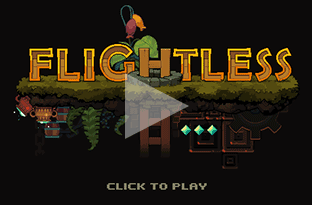 Play the demo right here and then vote for it on Steam Greenlight. 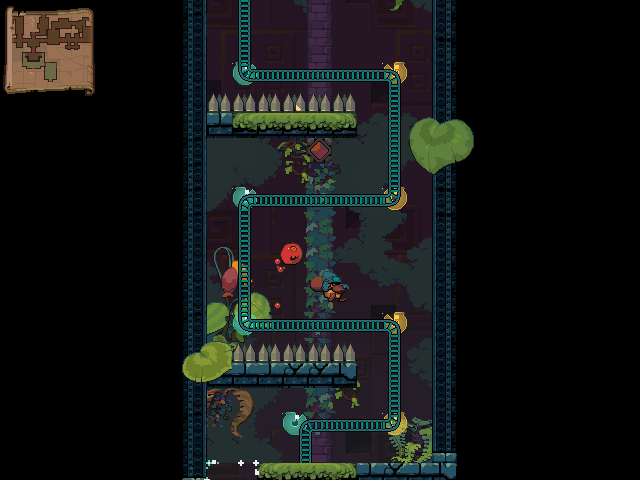 Seamless transition from 1 to 2 player mode at any time (can be used to teleport to each other). A wide selection of thinking puzzles and action puzzles. Teleport to save points around the map at any time (not featured in demo). 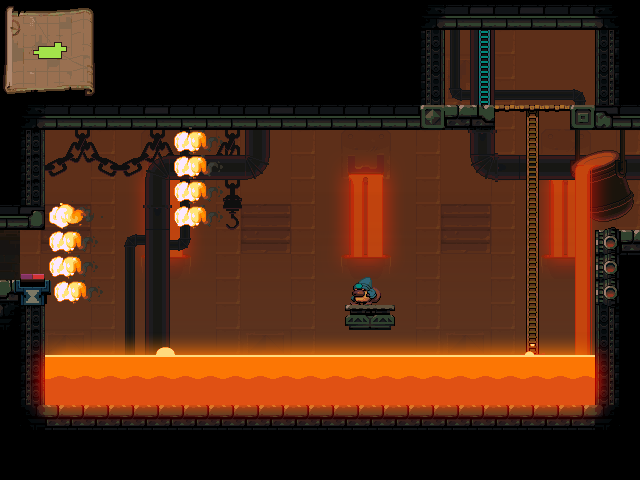 Level design that allows you to tackle just the puzzles you can manage and keep progressing through the game or push yourself to collect every single gem on the map. 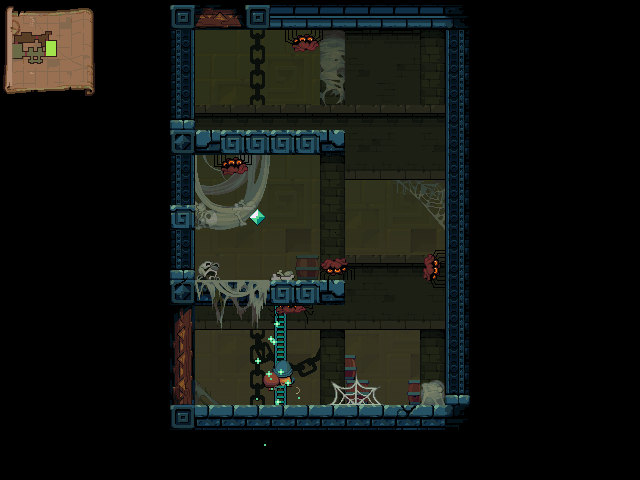 Secret rooms with extra-hard puzzles for those who find them. 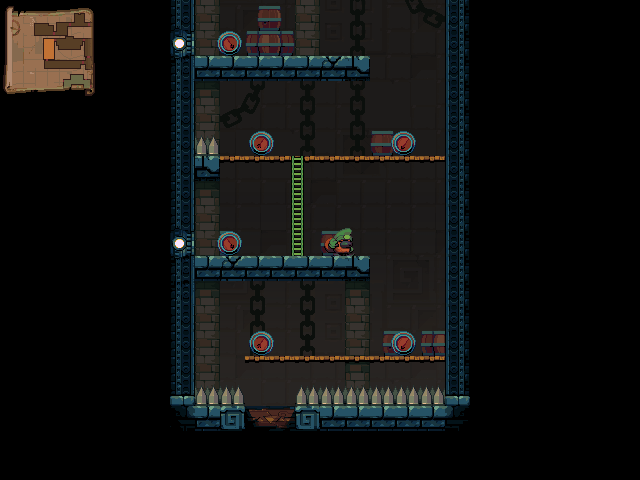 Ladders in a video game that aren’t a chore to use. Simple and intuitive controls, only the interaction with the world gets more complex – allowing you to play hard challenges in comfort. It’s a Nitrome game – it is and will be beautiful.